PURCHASE YOUR ENGRAVED BRICK TODAY! surrounding the new Fallen Heroes Memorial located just North of the North end zone! 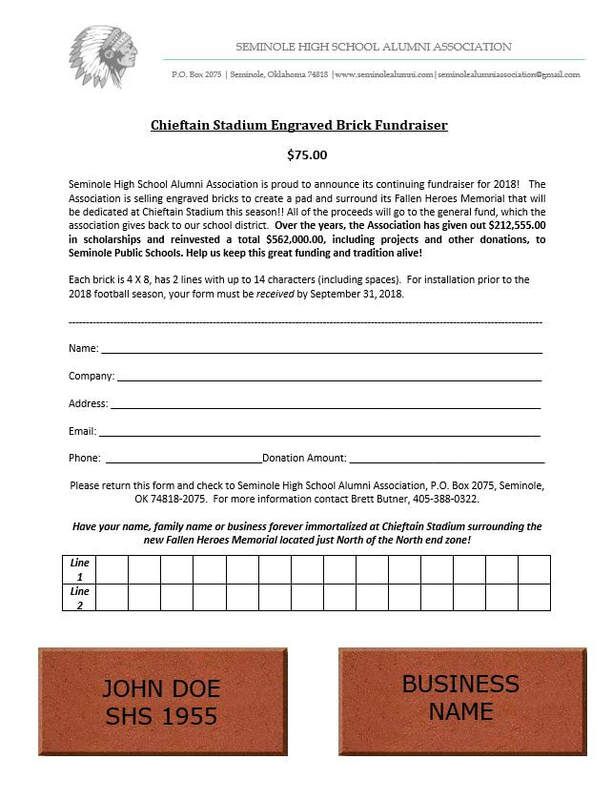 Note: If you use the button above to purchase your brick, you still must submit, via mail, email, or otherwise, the form below to the Alumni Association.